Nothing says summer like a classic apple pie! 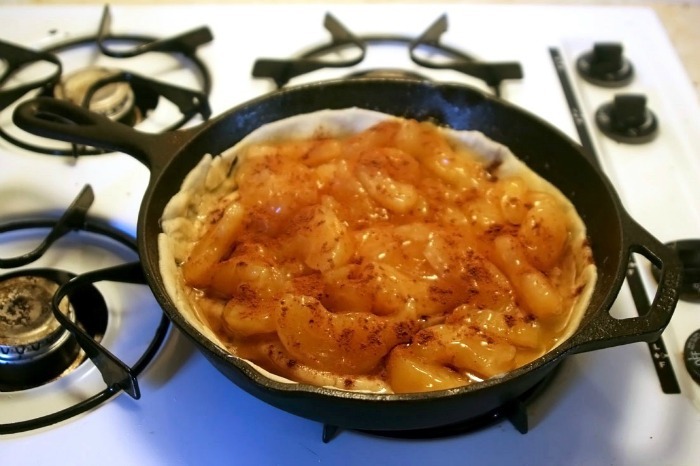 But I’m offering a healthier and low-sugar option with this skillet apple pie recipe so you can enjoy this favorite without the extra calories. And really, there’s something about cooking with a cast iron skillet. It feels like homesteading, doesn’t it? So why not “bake” in it as well! 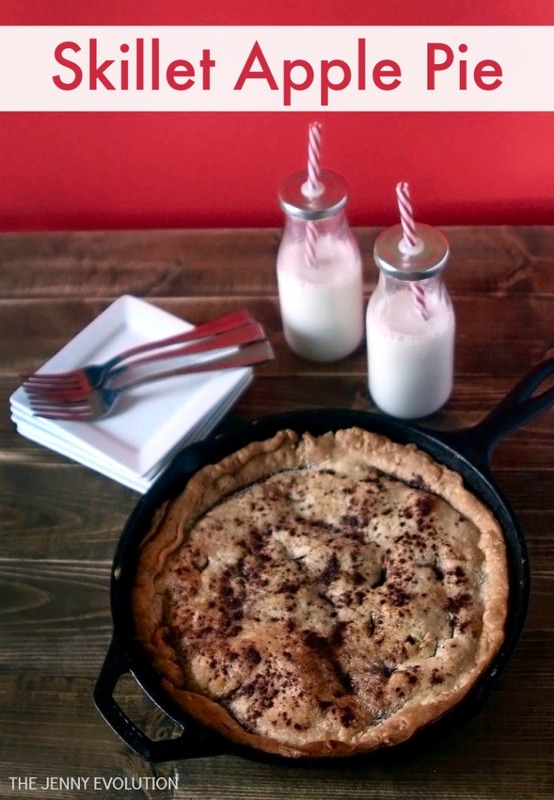 You’re going to love the flavors that come out with a pie made right in your iron skillet. This post contains affiliate links. 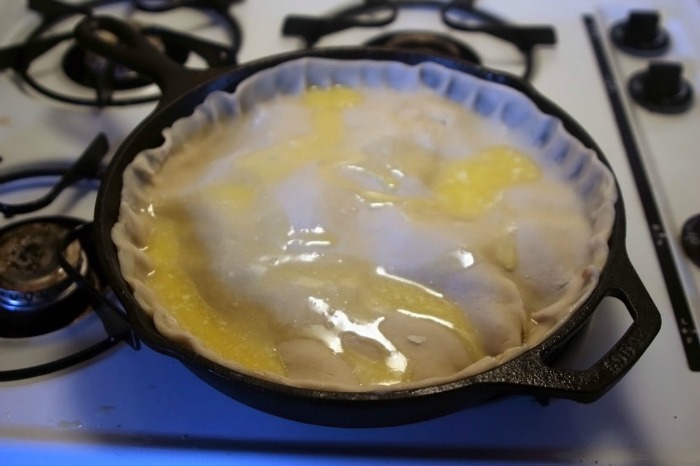 Step 2: In well-seasoned iron skillet, melt butter and set aside enough to coat top crust, approximately 2 TBSP. Step 3: Add 1 cup of Swerve to sweeten the butter and heat till dissolved. Step 4: Remove from heat, placing the first crust in the bottom of the skillet. Step 6: Brush top crust with butter. Step 7: Combine cinnamon and 2 TBSP Swerve and sprinkle over top crust. Step 8: Cut slits in top crust for ventilation, then bake at 350 degrees for 60-70 minutes till crust is golden brown. Step 9: Cool 30 minutes before serving. Find more tantalizing recipes on Mommy Evolution! 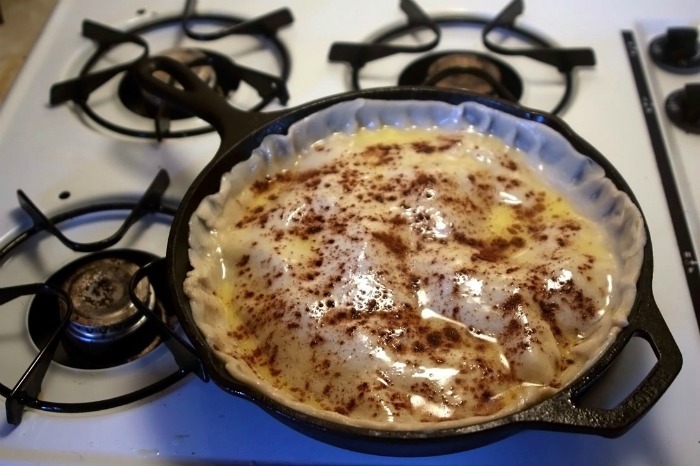 In well-seasoned iron skillet, melt butter and set aside enough to coat top crust, approximately 2 TBSP. 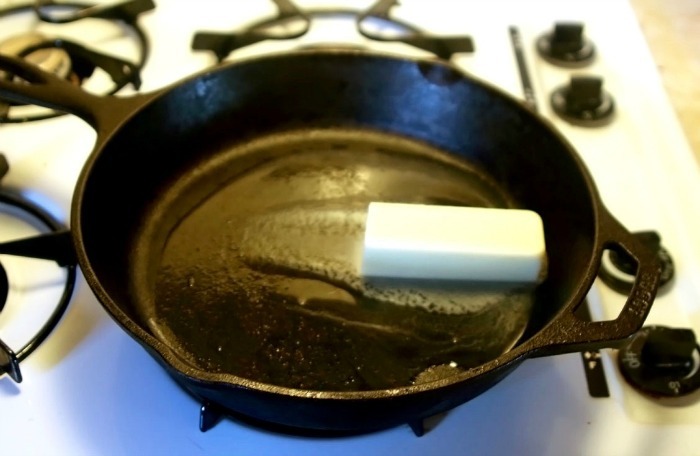 Add 1 cup of Swerve or Splenda to sweeten the butter and heat till dissolved. Remove from heat, placing the first crust in the bottom of the skillet. Combine cinnamon and 2 TBSP Swerve and sprinkle over top crust. Cut slits in top crust for ventilation, then bake at 350 degrees for 60-70 minutes till crust is golden brown. Yumm…this looks so delicious! I think I need an iron skillet now so I can try out your recipe! Thanks for sharing it with us at Share The Wealth Sunday! Jennifer, I have never tried this, but you make it seem so easy that I may have to give it a try! Really looks delicious! Pinned to share. Thanks for linking up with us for Snickerdoodle Sunday! This looks so simple even this lazy gastronome could do it!! Thanks for sharing on the What’s for Dinner Linky! Cooking shouldn’t be difficult to be delicious! I’ve recently heard of Swerve, but wasn’t entirely sure what it was. Need to look more into and see what it is all about! Thanks for sharing at the Family Joy Linkup! This looks so scrumptious! I have never heard of Swerve, I will have to check it out! I love baking with cast iron! I love everything about cast iron and this looks awesome! Thanks for sharing. I’ve never made a skillet pie. I need to try this soon. Thanks for sharing your post at the #InspirationSpotlight party. Pinned & shared. 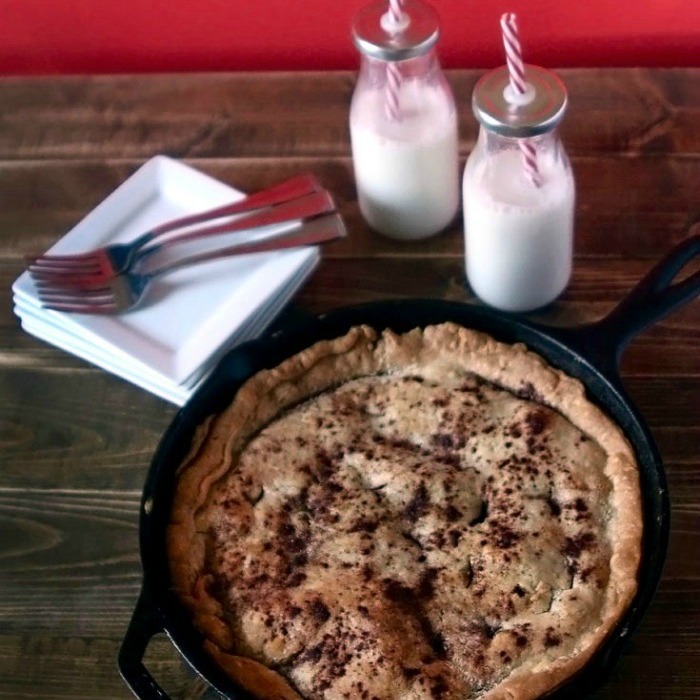 I have never heard of a skillet apple pie. Boy does it ever look and sound scrumptious! This is a fun recipe and I love cooking in my cast iron! Thanks for sharing with us on Throwback Thursday!